For the first time in many years, FC Barcelona are finishing the season without a single trophy to their name. This is not something the pride of Catalonia are used to. Therefore, they are already looking towards next season, where they are looking to bring home all the trophies that they didn't get this season. 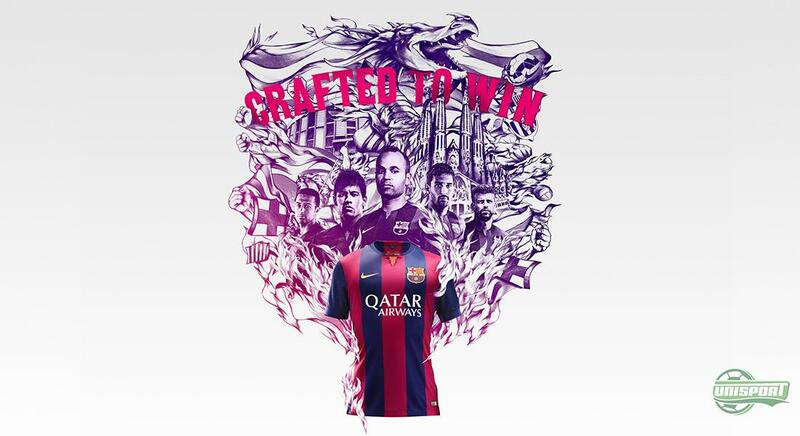 Nike are ready to help out by presenting the new FC Barcelona home shirt for the 2014/2015 season. In recent times FC Barcelona has been equal to success. Their beautiful and unique way of playing has for many years made them a a club that people look up to and respect. But in this newly finalised season, the club from Catalonia has failed to live up to the trophy haul from previous seasons. Therefore, Nike have decided to look at the true identity of FC Barcelona and painted it our on the new home shirt. 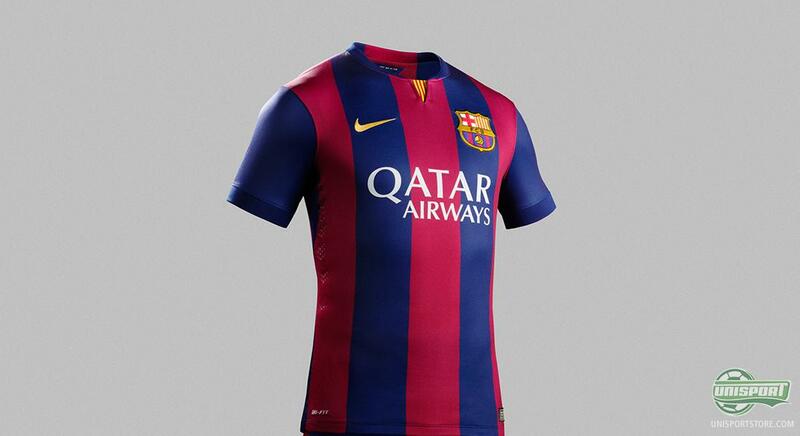 The new shirt celebrates the true “Blaugrana” by going back to the slightly wider stripes. 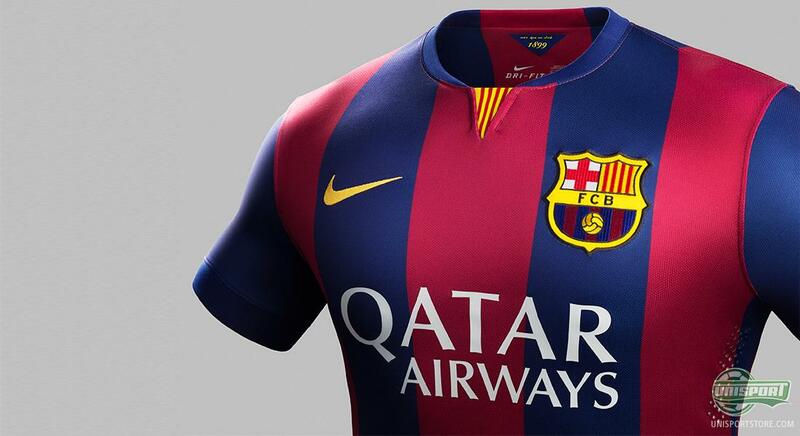 “Blaugrana” is Catalonian, and means “Bluered” and these are exactly the colours that we know from FC Barcelona. For this new home shirt, the colours are slightly darker to give a more powerful tone and emphasise the characteristic colours. Further detailing also adds to highlighting the proud identity of the region. 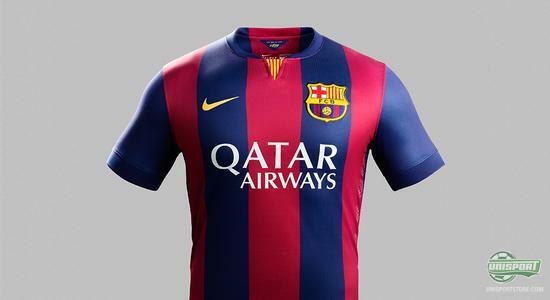 For the first time, the Senyera flag is not only used n the Barcelona logo, but has also been used in the shirt design itself. It has been placed around the v-neck collar and represent a central part of the club's identity. The logo has also been designed with new, strong and more loud colours. 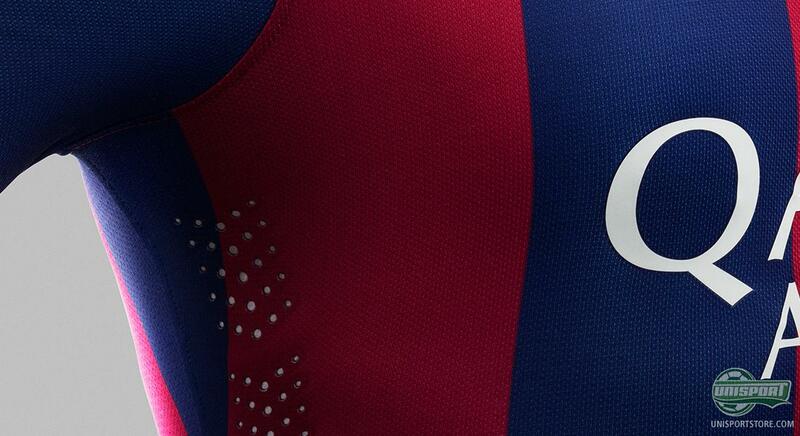 On the inside of the collar, in the back of the neck, Nike have naturally also included the club's motto “Mes que un club” (More than a club), as well as the year that the club was established, 1899. The new Barcelona home shirt is of course also equipped with Nike's well known and performance enhancing technologies, as for example Dri-FIT, which ensures that the player keeps a nice and comfortable temperature, as well as stays dry. As something new, the shirts will not be produced with long sleeves. Instead, Nike have listened to the needs of the players and have produced base layer in matching colours so the players can enjoy the great comfort associated with wearing base layer. 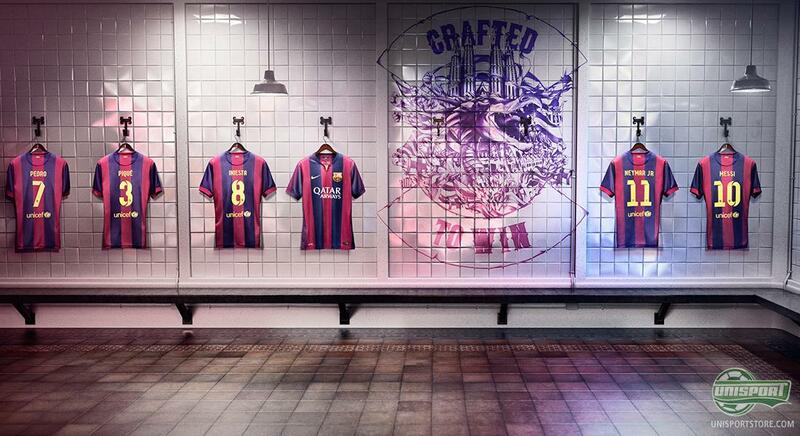 Messi, Neymar and Xavi are, together with the rest of the established FC Barcelona players and talents, ready to take on Europe again with their new home shirt from Nike. The shirt is designed to embrace the true identity of the pride of Catalonia. How do you think Nike have done their job with the new FC Barcelona home shirt?